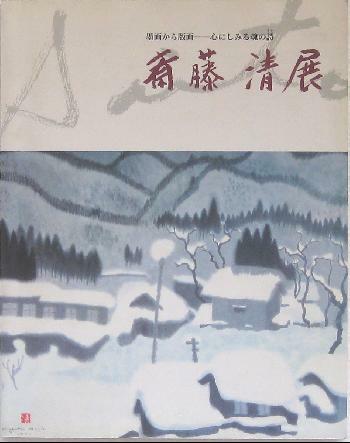 Saitô Kiyoshi Ten – Saitô Kiyoshi Exhibition, published by the Tokyo Station Gallery in 1994, accompanying the exhibition held there between July and September 1994. 172 pp. Excellent overview of Saitô’s work, a representative selection of his paintings, drawings, sketches and woodblock prints from all periods. Many photographs including one taken in June 1994. Softcover, 22.5 x 28.5 cm. Very good condition. In Japanese.